Bright Green Technology has launched the PRO range of high-performance products, designed to meet the most stringent lighting specifications for architectural quality lighting. By specifying the PRO Range from Bright Green Technology, architects, lighting designers and building contactors can be confident that any lighting system will perform to the highest standards and the lighting design will look its very best. Each product type meets the PRO range standard and represents state of the art LED technology. LED Light Panel: Extremely thin light sheet system, ideal for limited depths and customised backlighting. Bright Green Grid: A modular tile system for backlighting areas that require high brightness at restricted depth. Linear LED: An extensive range of rigid and flexible PCB and profiles. With your reputation in the spotlight, it’s worth getting the light just right. Each product in the PRO range is instantly defined by its advanced performance features and high specification, including high CRI, minimum R9 and LED binning. This attention to quality ensures that every project will look its very best. Why is PRO quality important? LED Binning: Tiny differences in the colour and brightness of a lighting source can be picked up by the human eye. Due to slight variations in the manufacturing process, LEDs can produce noticeably different qualities of light. For this reason, LEDs are binned or categorised according to their colour temperature, brightness (lumens) and voltage to ensure consistency. CRI: Colour Rendering Index (CRI) is the measurement of colour accuracy under a light source, compared with sunlight. Indexed from 1-100, a high CRI indicates that the light source renders colours as they would appear in natural light. CRI R9: This is the measure of how accurately a light source reproduces strong red colours. Many light sources lack red content which means they can not reproduce red colours correctly resulting in skin tone and textiles appearing washed out. As well as the highest standard of products, choosing the PRO Range comes with service opportunities from Bright Green Technology to ensure a successful result, including options for design, planning and commissioning at every stage of the project. Bright Green Technology’s expertise covers Control system design, programming and specification of lighting control protocols such as DALI, DMX, WiFi, Bluetooth, Gooee and Casambi. The in-house engineering team works closely with lighting designers from specification to system design through to installation, to develop and build complete assemblies, delivered to your specification, and ongoing engineering support from start to finish. 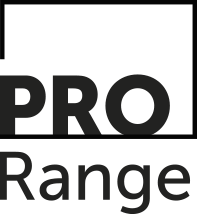 To find out more about our PRO Range, click here (link to page when live) or contact the Bright Green Technology team.